Rachelle is a big fan of clogs. My childhood was spent in red clogs bought from Prisunic in France. 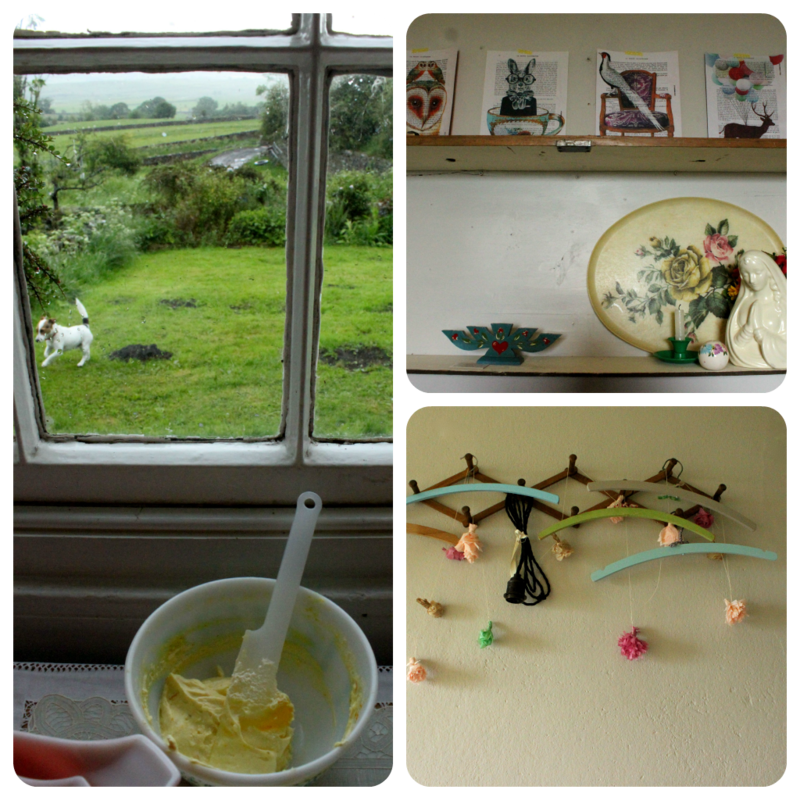 It’s been a busy couple of weeks which is why I’ve had my longest blogging pause since I started this blog in mid 2008! What have I been doing? I appeared on the Kirstie Allsopp vintage home Christmas show as an ‘expert’ (ahem) in gingerbread houses. Watch out for it …. I also talked on Radio 4’s The Food Programme about the future of cookery books. This will be broadcast on the 2nd of July. I hosted an edible flower banquet at Clifton nurseries and a Secret Garden Club workshop on the same with Zia Mays. 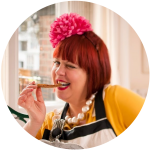 I’ve been updating the supper club lists on my Find a Supper Club site (do join) which was/is very time consuming. This is for the supper club app that I’m creating in conjunction with graphic designer Maria Grist and app designer Ian Paterson, the husband of supper club hostess Wendy Paterson. 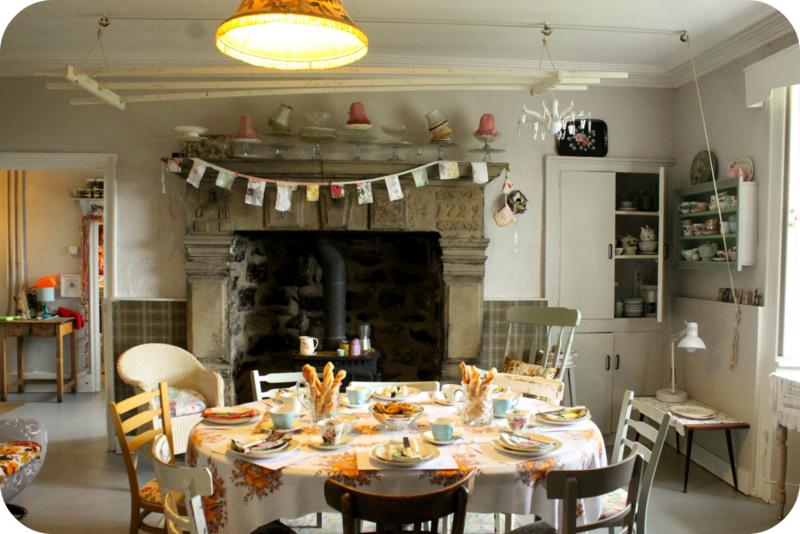 Last weekend I drove up to the Yorkshire Dales to visit Secret Tea Cup hostess Rachelle Blondel who is not only a fantastic baker but an incredibly talented seamstress and crafter. She has a book coming out this autumn entitled Granny chic which she co-authored with renowned crafter Tif Russell also known as Dottie Angel. Stupid women. Real country living is dirty, you don’t dress up in floral prints and heels. I bet these idiotic, posing women are members of Mumsnet! What a load of old twaddle. This is a bit like Marie Antoinette playing the shepherdess. Rachelle’s house, in the flinty and verdant Yorkshire Dales countryside, is inspiring. She hosted a secret tea on the Saturday afternoon which included two tiny but extremely well-dressed customers. Even though I wore my tomato dress and fascinator I felt positively upstaged. The quality of the baking at the tea was superb, particularly the home-made jammie dodgers. 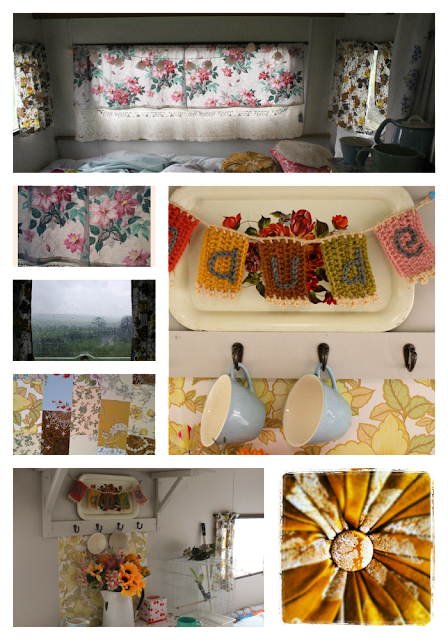 Here are some pictures and look out for her book Granny Chic, out this autumn. 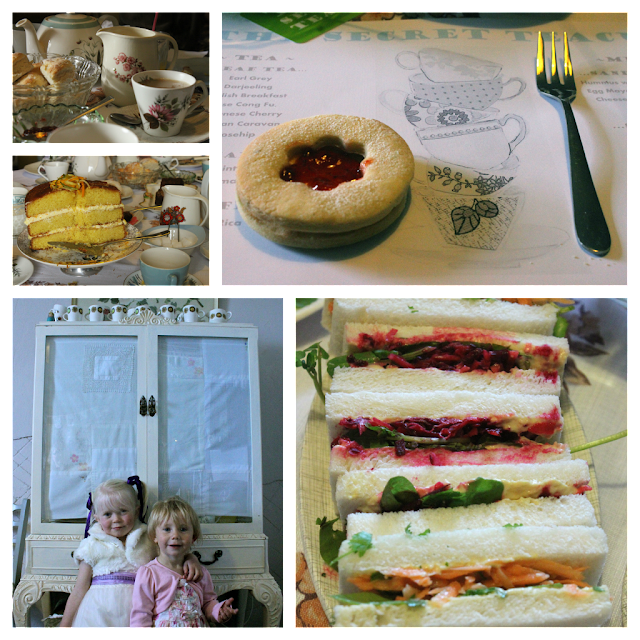 Cake, scones, jewel coloured sarnies, the most scrumptious jammie dodgers and tiny tea time tots! Rachelle is very knowledgeable about vintage homeware. 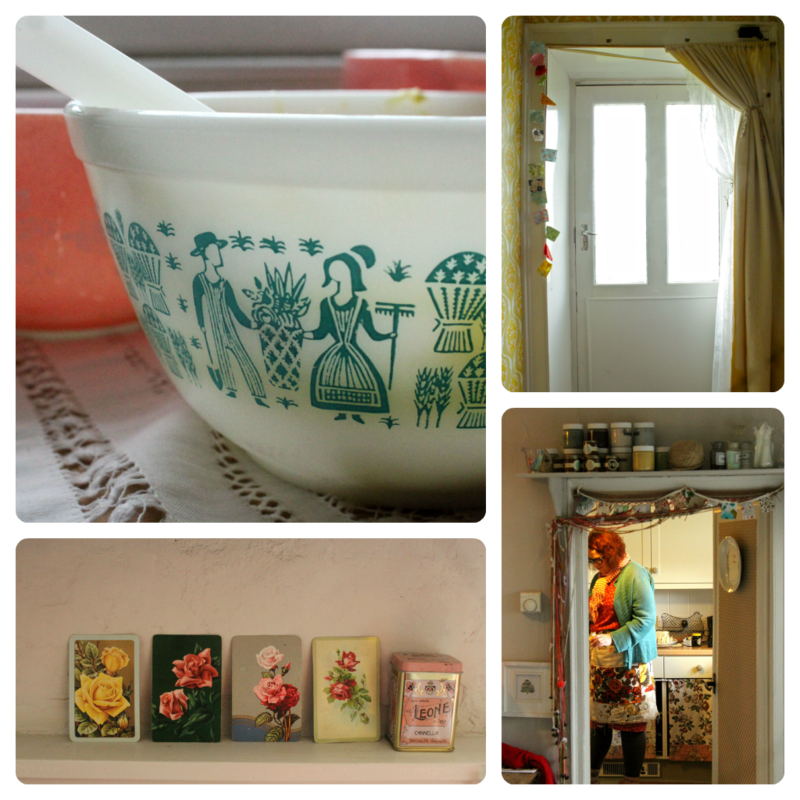 She collects vintage pyrex. Did you know that vintage Tupperware is also fashionable? It probably is. In fact I was trying to persuade Rachelle and her husband to open up a boarding house. Both of them come from hotelier backgrounds and I think they would be fantastic at it. morning, and what a great feature to wake up to, absolutely love your pictures, you've captured the *vintage spirit* beautifully. 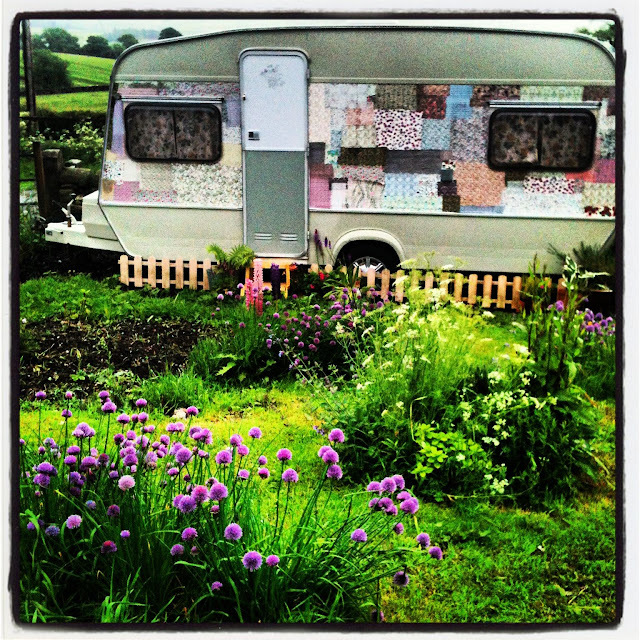 In fact I now feel deprived……been to Yorkshire often but never stumbled across something quite as pretty as the Secret Teacup ^-^ keep up the good work and keep wearing floral prints'n heels in the dirty countryside, ha! Just joined your Find a Supper Club Site even though I don't get to your side of the world very often. Love the look of those sandwiches and jammie dodges= must give those a go. Still have my original tupperware that my daughters consider vintage! These photographs are so beautiful, almost magical. You have a really great blog! Those jammie dodgers look marvellously scrummy. The caravan, the homeware, everything looks stunning in the photographs and I bet they look even more so in real life.